Something funny and embarrassing happened during this time which I will not share. 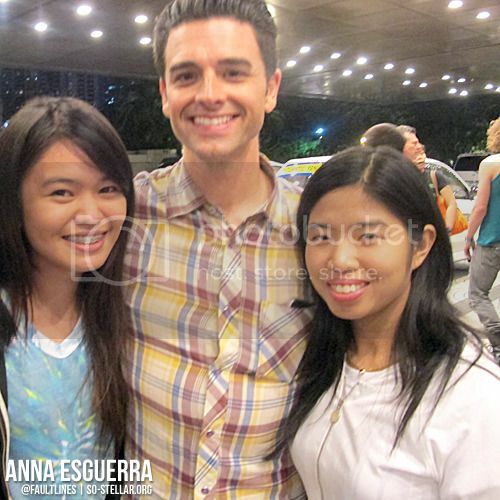 But, when I approached him for a photo, he gave me a pat on the head =)). This was like the 3rd shot. First one was blurry, second was that one, and this was the last (the good one). Strangely, a photo with someone I am not too familiar of, that turned out better than I have expected, too. 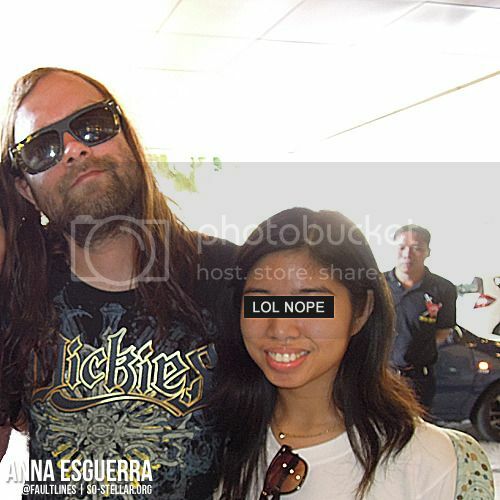 Last but totally not the least, my photo with THE Bert McCracken. 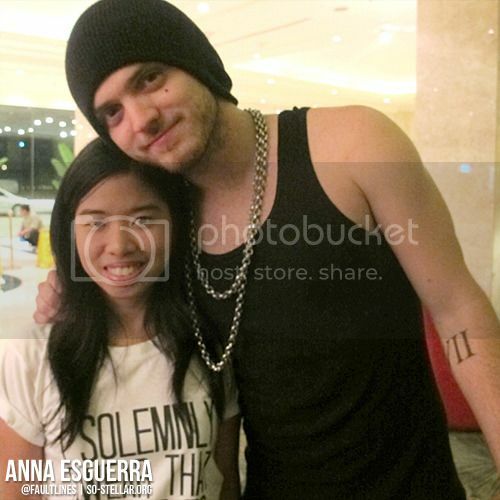 The hardest artist (next to Gabe Saporta from Cobra Starship) to approach and get a photo with. 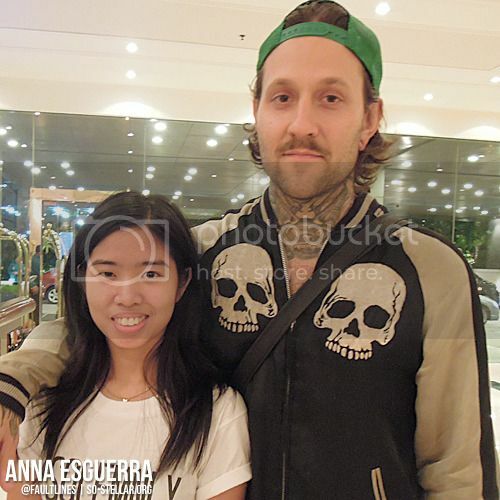 I did get to see Gabe and had the opportunity to have a photo with him but meh, I didn’t deserve it. So I sat down and let my friends have their opportunity. 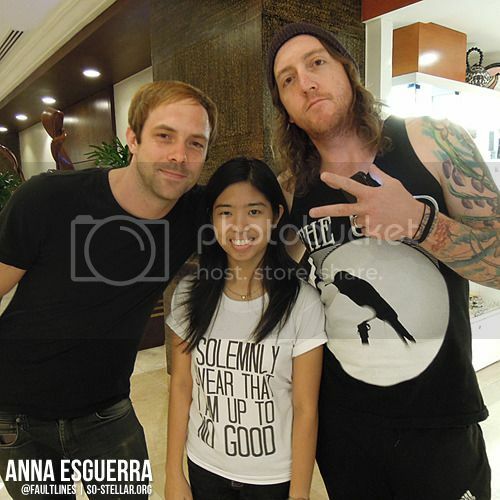 Yes, that’s exactly what you’re getting out of this photo: NO EYES ANNA. Why? You’ll never know. I’ll never tell. Better than nothing though, yes?? My god, this kind of lifestyle is so hard and I don’t know how long I can keep up.